EDIT: Giveaway is officially over. Congratulations to LaFrench Grimes for submitting the randomly-chosen 2085th entry. Planning to hold hands with your date this Valentine's Day? Capture your heart's desire with lovely nail shields by Jamberry. 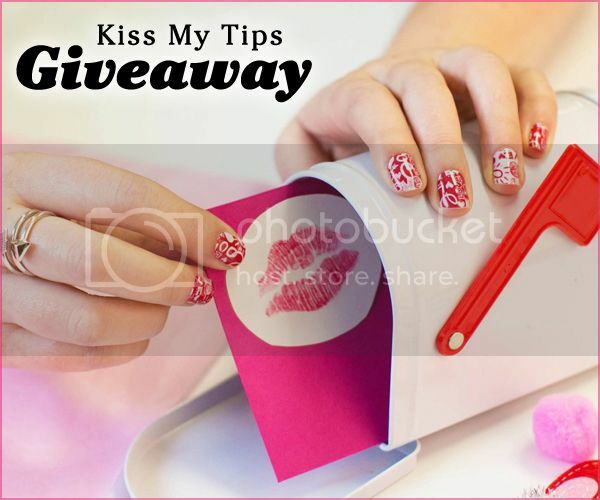 Jamberry consultant, Kimberly of Kiss My Tips, is giving one lucky lady her choice of Valentine's nail wraps for free. The winner may choose one sheet from the collection of six adult-sized and two juniors-sized designs. 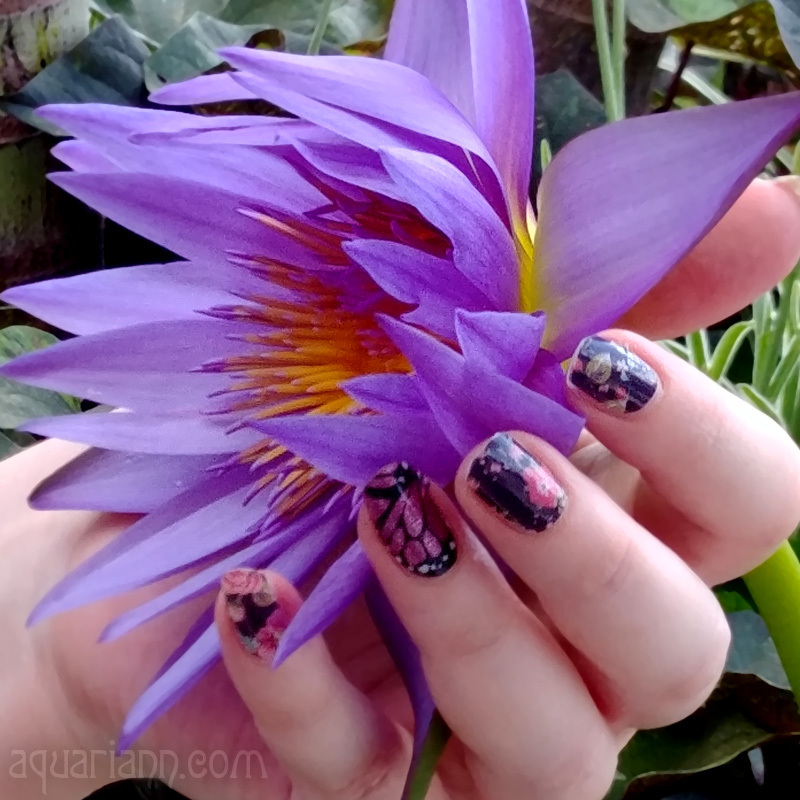 I've been lusting over the nail art that Kimberly's been sharing on her facebook page for months and lunged at the chance to help her host a giveaway. She's a fellow Fantasy Artist of Etsy and adds a creative touch to everything she does. When I asked how she got involved with Jamberry, she replied, "Where nails are concerned, I just can't get polish to last more than a day before chipping on my finger nails! Because of this, my nails would be bare and I would often do fun and funky nail art on my toes. When a friend of mine sent me the link to the Jamberry nails website, I was enchanted! Here were over 350 styles of non-toxic, long-lasting, affordable pieces of nail art and they didn't require any fancy tools or a trip to the nail salon! I have to confess, my shopping list from that visit was so lengthy that to protect my pocket book, I contacted a sales representative to see about hosting a party. Okay, I was really being sneaky because while a party would be nice, I was really trying to find out if the business opportunity was a possible fit for me. "Thanks to Jamberry, I now have enviable salon-worthy nails for less than $5 a manicure and I get a paycheck from a business I love on top of it. If you're new to the world of Jamberry nails, I just know you'll love them as much as I do! If anyone would like to try a sample, please complete the drawing option to 'request a sample' and don't forget to provide your name and mailing address!" 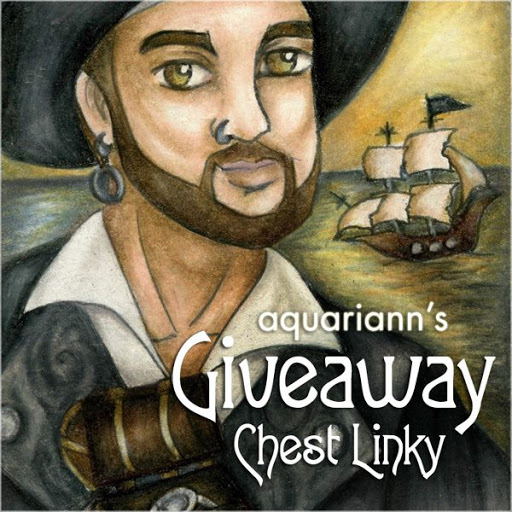 Use the Rafflecopter below to enter to win worldwide giveaway before 11:59pm EST on January 30, 2014.
i like the sweet talk one.